Assistant to the Secretary for Rural Development Anne Hazlett with Jerry Morasko, President and CEO, Avita Health System. Times have changed. These shopping centers, if used as originally intended, may never be successful again. Yet, if we think creatively, there are solutions to making these giant buildings community centers and a driver of rural economic growth again. I was fortunate to see an innovative approach to this challenge in Ontario, Ohio. With affordable financing from USDA’s Community Facilities Direct Loan Program, Avita Health System was able to install a state of the art hospital in a vacant section of a rural shopping mall. 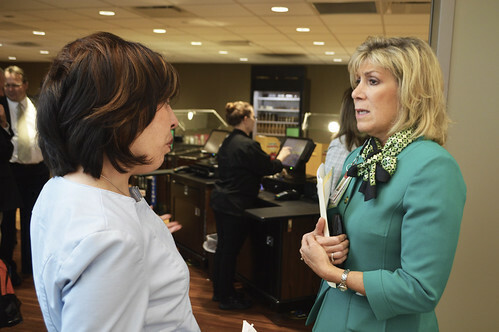 This approach has made a struggling shopping center become home to all kinds of healthcare including substance use disorder treatment and mental health services now accessible to more than 125,000 rural residents in three counties in Ohio. These services are essential for Ohio communities who have been devastated by the opioid epidemic in recent years. Knowing they play a leading role in response and recovery, Avita Health System is working with local community leaders to create an actionable strategy to address this challenge and fill the gap in accessible treatment in these rural communities. In addition to filling a gap in accessible healthcare services, Avita is able to increase the overall prosperity in Ontario and the surrounding communities by employing hundreds with good-paying rural jobs. Since the grand opening of this hospital, the stores and businesses barely hanging on in the empty corridors of a struggling shopping center now experience enough foot traffic (and therefore business) to make it in this rural town center. Earlier this year, Secretary Perdue elevated USDA Rural Development into the Office of the Secretary to ensure USDA is focused on and accountable for bringing back prosperity in rural America. This hospital in rural Ohio is an excellent best practice in the use of grassroots innovation and private-public partnerships to bring prosperity back to a rural community. As we examine the challenges rural America faces while trying to thrive in a modern economy, we need to be creative and resourceful in our investments. In Ontario, Ohio, I saw that there are so many opportunities with existing infrastructure, vacant buildings, and partners to make meaningful investments that change the trajectory of a rural region. And, I am looking forward to seeing Rural Development facilitate more investments just like this one. 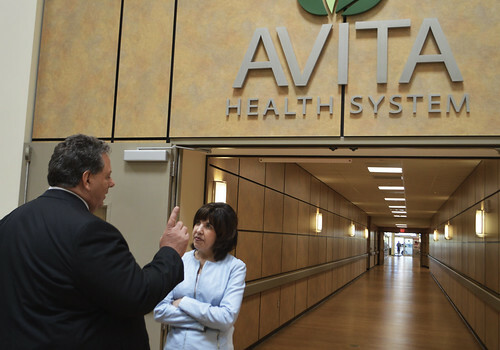 Assistant to the Secretary for Rural Development Anne Hazlett on a tour of Avita Health System’s Ontario, Ohio location. I have been there. Nice to see it turn around some.